Happy Monday y'all! I hope y'alls weekends were amazing! I had a pretty good weekend. We had Matt's work Christmas party at The Grand America on Saturday and that was so fun, I got to dress up which is always fun, and I won a XboxOne!! I was so happy and shocked because I never win anything, but I was just so happy because Matt has been wanting one so bad. But sorry I was missing last week from the blogging world, Utah's weather lately hasn't really allowed me to take many pictures. It has been snowing like crazy. Hence, today's outfit...my go to outfit for these snowy days. I'm so in love with sweater that I scored at the Old Navy Black Friday sale for 50% off! I knew I needed to have it when I saw it! And the red is just so festive. But these days my Sorel boots and a big comfy sweater are just on repeat. I don't know what I did before I had these Sorel boots, because they are amazing to have this season. I also have an amazing giveaway for y'all today!!! 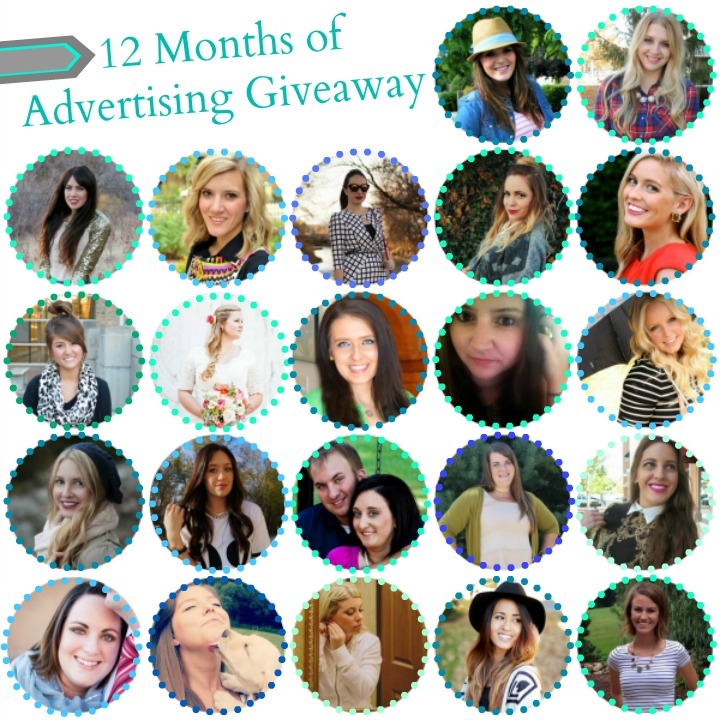 12 months of advertising!! Make sure to enter on the Rafflecopter widget below!!! Girl I am obsessed with this outfit, it's so cute!! And your makeup looks gorgeous so obsessed with it!!!! Love the shape of your sweater and your boots are super cute! I really love your outfit, you look great and I am very jealous of your hair. I'm not sure which I am more jealous of to be honest, your hair or winning the xbox!